In the future when the internet falls out of fashion, like Betamax, Bebo, and Myspace, we angel headed hipsters will regret not printing out all our instant message trails with attractive girls. We will lament the loss of our Facebook pix documenting every Saturday night since puberty. 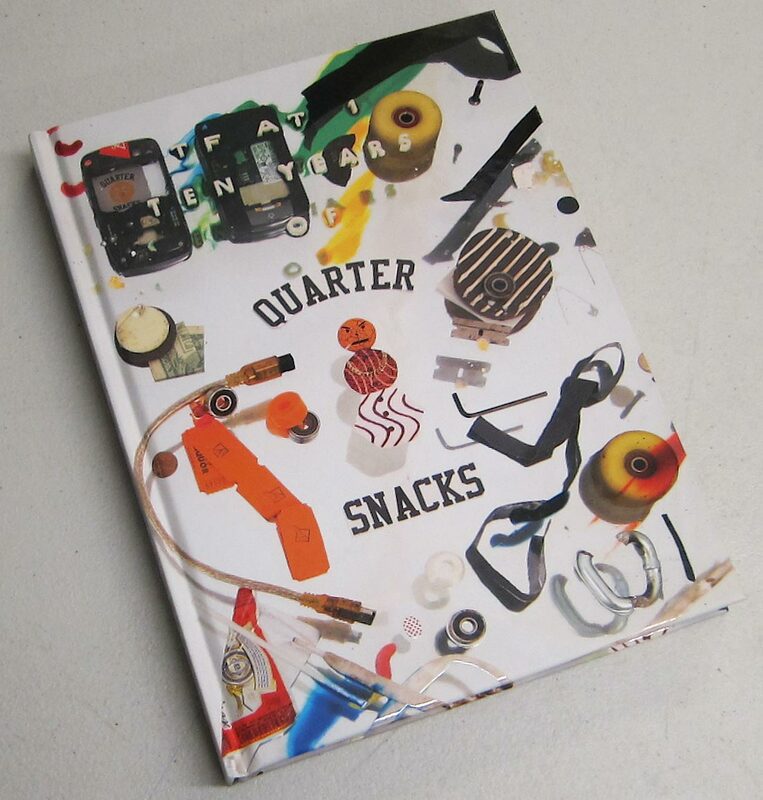 So for all the post-internet heads out there, it will come as a relief to know that Quartersnacks have created a tangible and very much hard-backed book of their best bits. A coffee table book that will enhance any rooms Feng Shui, letting guests know you’re urbane with an urban edge. Personal highlights include the illustrated glossary of terms, though many I was familiar with from hours spent lurking (see p.200) on their site, and the phone message bubbles (p.192). What’s more, for a book project that could have come across as a self-congratulatory pat on the back, there is plenty of self-effacing humour (“I’ve been on your site before… there were too many words on it”). For someone that just missed the early internet skate scene I found it fascinating to discover that there were many small skate sites centred on localized scenes. It also interested me to read that in the early days of the internet, the throwaways went on the web. How far we’ve come. 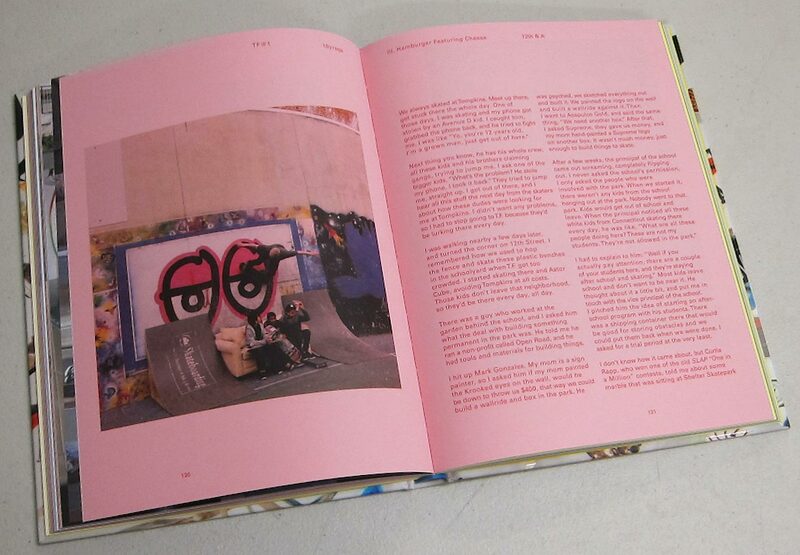 The pink training facility section will hit home for those who grew up in the sticks, skating rough flatground for hours and somehow sustaining the fantasy that you are in fact cruising through LA. The numerous photos of flat empty ground will remind you of how odd and humble it is to be turned on by a carpark in the age of HD, Tinder, and filtered Avocado pix. © 2019 The Green Zine.